Fifty-two Palestinian protesters have been killed by Israeli fire during demonstrations on the day of the US embassy’s inauguration in Jerusalem, the Palestinian health ministry said Monday. 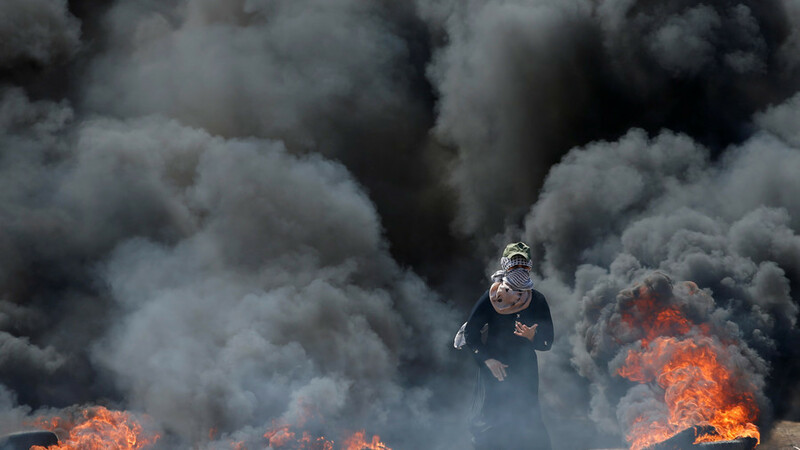 More than 2,400 protesters have been injured in Gaza on what has been the most violent day of the six week long Great March of Return. Those wounded on Monday include 203 children and 78 women, according to the ministry. The latest deaths bring the number killed since the Great March of Return protests began six weeks ago to 97. This entry was posted in News and politics and tagged Abhorrent violation of Internal law, Terrible Massacre, US Embassy In Jerusalem, violatation of human rights. Bookmark the permalink.